The IUAES was established on 23 August 1948, when it was brought into one organization, de facto, with the International Congress of Anthropological and Ethnological Sciences (ICAES), which was itself founded in 1934. The latter was the follower of various Congresses of Anthropological Sciences, starting in 1865, the President of the Congress also serving as the President of the Union. The two organizations were united, de jure, in 1968. Through its major Congress (called ICAES until 2008, and subsequently renamed World Congress), held every five years, the IUAES provides a world forum for the discussion and dissemination of research. In the period between world congresses, it also sponsors Inter-Congresses, seminars and symposia, and encourages the participation of anthropologists in other international meetings and projects. Through its Scientific Commissions, the IUAES stimulates the convergence of research interests among anthropologists, and the dissemination of research findings through publications. 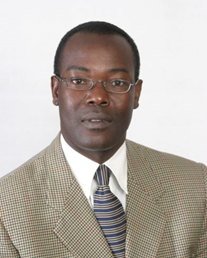 Isaac Nyamongo is co-chair of the Commission on Documentation of the IUAES, a member of the Organizing Committee of the WCAA (http://www.wcaanet.org) and Deputy Vice Chancellor (Community Development, Research and Innovation) at Cooperative University of Kenya, Nairobi　(http://cuk.ac.ke/prof-isaac-k-nyamongo-appointed-deputy-vice-chancellor/). He will be able to participate in the Workshop on Data, Standards and Integration to be held at the Royal Society in London on 13-15 November 2017. Please consider to provide him with travel subsidies. He is an anthropologist working with medical practitioners on health issues as well as with climatologists on issues of climate change and community resilience. 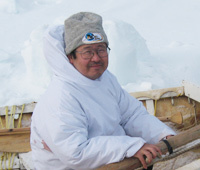 Nobuhiro KISHIGAMI is a cultural anthropologist specialized in the study of indigenous peoples and development. He was recommended by Kenji YOSHIDA, co-chair of the Commission on Museums and Cultural Heritage of the IUAES and Director-General of the National Museum of Ethnology, Osaka, Japan. Nobuhiro Kishigami is Professor and former deputy Director-General of the National Museum of Ethnology and he is now in charge of a big project called “Info-Forum Museum” as Director of the Research Center for Cultural Resource Studies of the Museum. Info-Forum Museum is a core project of the National Museum of Ethnology, which has put a special emphasis on the use of information technology and digitalization since its opening in 1977 and holds a collection of 340,000 ethnological artifacts and 670,000 books in anthropology along with a quantity of audiovisual data. "Re-imagining Anthropological and Sociological Boundaries" at Thammasat University, Bangkok, Thailand. The IUAES Inter-Congress 2015 was successfully held on July 15-17, 2015. A total of 73 panels were organized along with three keynote lectures, and 505 scholars and students participated from 27 countries and regions. 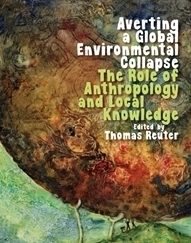 "World anthropologies and privatization of knowledge: engaging anthropology in public"
Anthropology and Environment (CAE): 'Averting a Global Environmental Collapse: The Role of Anthropology and Local Knowledge'. (Reuter Thomas, ed., Cambridge Scholars Publishing, 2015).